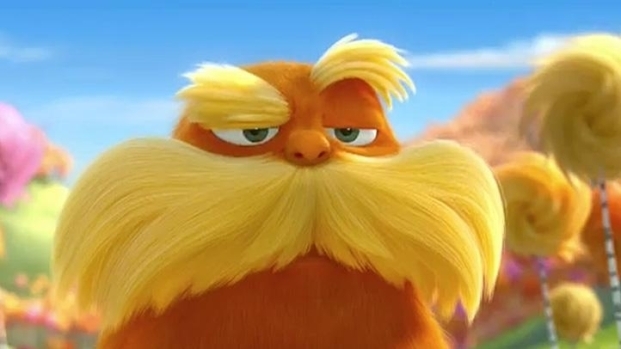 Once "The Lorax" opened with a $70-million weekend, the obvious question was, which Dr. Seuss book will get made next? No more callers, please, we have a winner! Illumination Entertainment’s Chris Meledandri, and Audrey Geisel (Dr. Seuss' widow) have begun work on bringing "The Cat in the Hat" to the big screen, reported Deadline. While "The Lorax" is probably Seuss' crowning literary achievement, "The Cat in the Hat" is among his most iconic. The previous film incarnation of "The Cat in the Hat" starred Mike Myers and was hated by critics and audiences alike. In fact the widow Geisel was so put off by the film that she vowed never again to allow her husband's works to be adapted in live-action film. And if you've got kids. you know how grating that cartoon series "The Cat in the Hat" is--brutal. So what'll be next after "The Cat" for Seuss? It would be madness to try again to re-do "The Grinch," which means they'll get to it eventually. And then there's "Green Eggs and Ham," which while a delightful read with a great message, is a brief argument between two people over a plate of food--it would be the "My Dinner With Andre" of kids' films, something that simply should not exist.